"Sometimes the only way to afford medication is to buy it from another country,"
WASHINGTON — For some Americans, a routine treatment for dry hands can be a cringe-inducing budget buster. A dermatologist prescribes what used to be a cheap generic drug. Then comes the shock at the pharmacy when it turns out a little tube of Clobetasol cream now costs $300. When a condition as mundane as parched knuckles can morph into a $1,000-a-year habit, it's perhaps unsurprising American consumers seek solutions elsewhere. In Canada, that same drug is advertised at $30 per tube. Millions of Americans have sought price relief abroad from online pharmacies, a practice that was pioneered in Canada in the 1990s and remains mostly illegal. The grey-market industry took off after a young Manitoba pharmacist realized selling Nicorette to Americans at a bargain on eBay was much more lucrative than filling prescriptions in his own shop. Interest waned over time — first as U.S. lawmakers created a new prescription plan for seniors, then as the Obamacare reform increased insurance enrolment. The rate of Americans who left a prescription unfilled for financial reasons dropped from 26 per cent to 19 per cent over the last five years, according to Commonwealth Fund surveys. But the issue's back in the news. Various 2016 presidential candidates propose legalizing online pharmacies. Millions of Americans still import medicine from abroad, including from dozens of online operations based in Canada, a practice the Centers for Disease Control pegged at two per cent of U.S. adults in 2011. —Drug costs are skyrocketing. 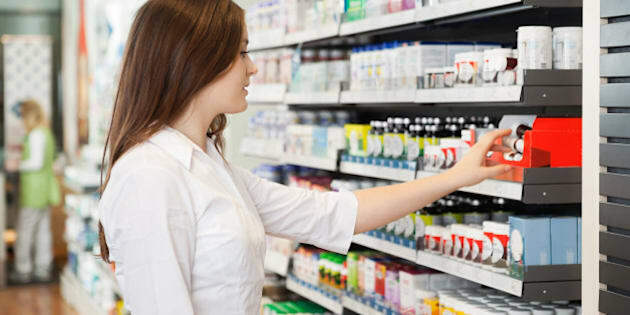 Spending on pharmaceuticals increased 13 per cent last year, according to a U.S. study by IMS Health, the highest growth since 2001. In one now-famous example, the price of a life-saving drug shot up 5,000 per cent before Turing Pharmaceuticals backed down. —The 2006 seniors reform doesn't cover everyone. Seniors who sign up for the plan have a gap in coverage between certain spending levels, the so-called donut hole being slowly phased out. —Collusion. Companies have been caught several times conspiring to keep prices high, with U.S. regulators either fining or sanctioning them. —Public policy. U.S. lawmakers don't regulate drug prices like in most developed countries. As a result, Americans pay far more for brand drugs than Canadians, while they've historically paid less for generics. Individual customers can usually import without hassle. While calling importation illegal in most cases, the U.S. Food and Drug Administration doesn't consistently enforce the law. In an email, the FDA said enforcement is based on several factors, one of which is whether the shipment is for less than three months' supply: "The FDA utilizes a risk-based approach." The Canadian government hasn't aggressively targeted the practice, which reportedly employed about 4,000 Canadians at its peak in the early 2000s. That lack of enforcement infuriates Amir Attaran. Better known in Canada as a human-rights lawyer, he's also an American-Canadian health-policy researcher at the University of Ottawa. He's written to Prime Minister Stephen Harper urging a crackdown. "Every single one of those is operating illegally, but nobody really wants to shut them down. It's jobs, it's taxes," Attaran said in an interview. "When I travel and work on this stuff and talk to my colleagues abroad, I cannot get in and out of a room without somebody pulling me aside and saying, 'What the hell is up with Canada?'" He likens the industry to organized crime. He calls it "brutally unethical" for politicians to encourage the practice. If Americans want a solution to their drug prices, he says, they should fix it at home. There's another reason Canadian-based pharmaceuticals have been in the news lately in the U.S.: crackdowns on big players. U.S. prosecutors in Montana issued indictments this summer linked to a prominent online outfit, Manitoba-based Canadadrugs.com, for charges including conspiracy and smuggling. Organization CEO Kristjan Thorkelson is on the indictment list. A key figure in the industry, he's a friend-of-a-friend to the original Nicorette distributor Andrew Strempler — who was sentenced to four years in a U.S. prison in 2013. What increased the heat on Canada Drugs was allegations of selling fake cancer drugs. Between 2009 to 2012, according to the indictment, the company discovered counterfeit pills in its supply chain and tried covering it up. In a twist, one of those on the indictment list is a man who's billed as a watchdog on the industry. Ron Kamath was accused of improperly storing suspect medicine in his freezer for Canada Drugs — which he was actually monitoring as a consultant for PharmacyChecker.com. That's a site that scrutinizes online pharmacies to ensure they're safe. Canada Drugs remains atop its safe list. It says Canada Drugs is no longer involved in the wholesale business linked to the cancer-drug scare, and it also defends Kamath. It says pharmacies like these have helped millions of Americans. It says there's no evidence of any American dying after buying medicine with a prescription from a foreign online pharmacy, but people have died in recent years buying legal medicines in the U.S.
"Sometimes the only way to afford medication is to buy it from another country," said Gabriel Levitt, PharmacyChecker's vice-president. He said high drug prices are the real danger to Americans.